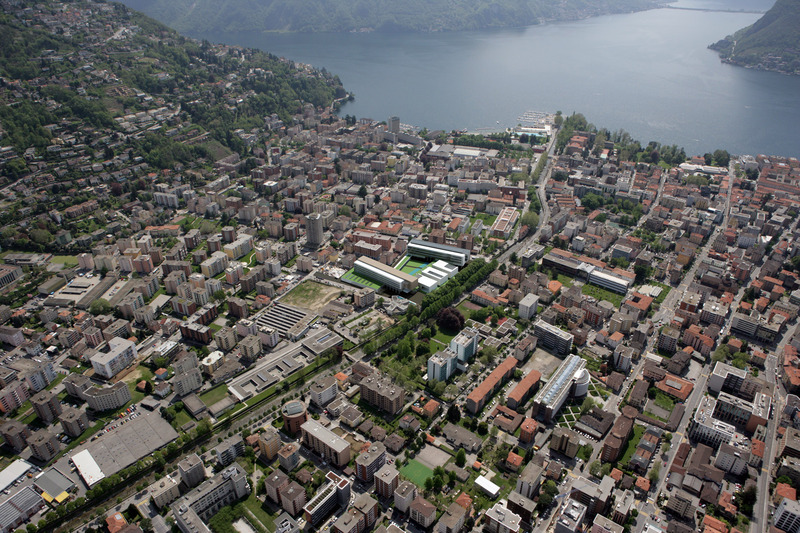 Keith Williams’ proposals for the Campus Universitario USI/SUPSI (The University of Applied Sciences and Arts of Southern Switzerland) on the Via la Santa site in Lugano, envisaged an exemplary collegiate campus, which also created a coherent series of urban spaces which lock the new SUPSI/USI buildings into the urban tissue of this part of the city. 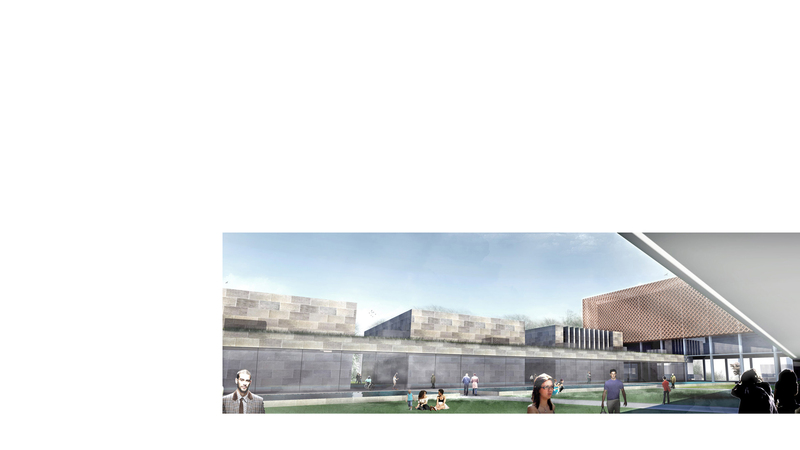 The masterplan set up a rigorous, logical framework for the development of the campus and was designed to encourage engagement with the town at a number of levels notably by achieving permeability through the collegiate building elements to the new publicly spaces within the campus. 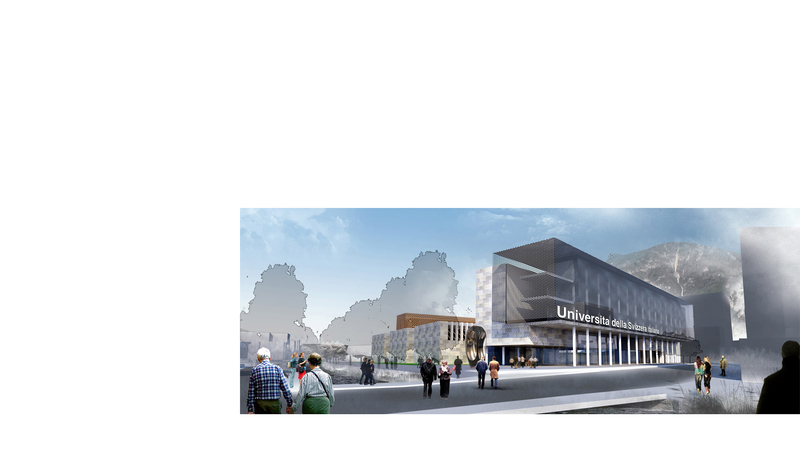 THE USI and the SUPSI are architecturally complementary to establish a sense of belonging to the new Campus, but sufficiently distinctive to create a sense of individuality for each. 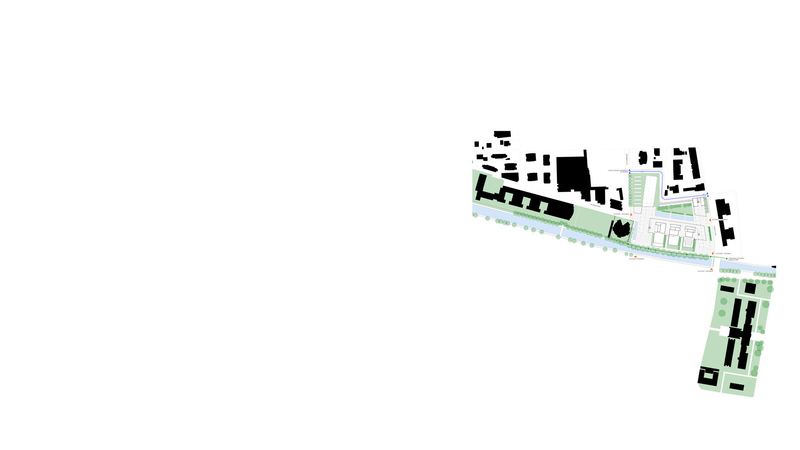 The USI forms a new linear block to re-establish the urbanity along the Via La Santa. The five storey building is raised on piloti to give a civic quality and transparency to the new campus to reveal its spaces and buildings to the public, encouraging entry and interaction between town and campus. 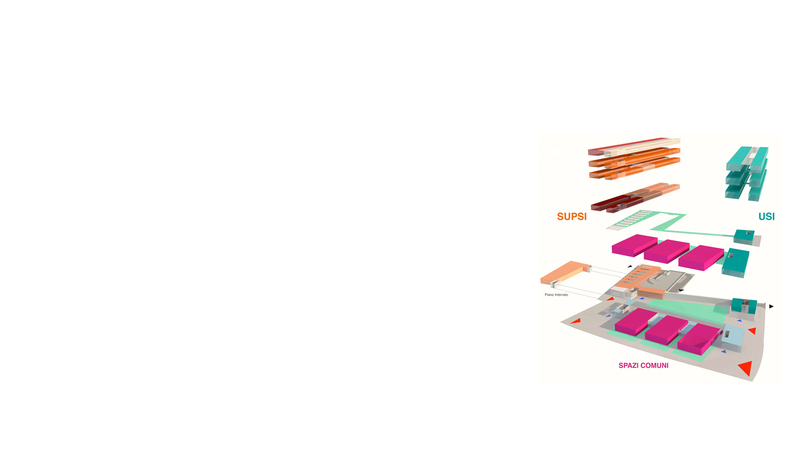 The SUPSI building is for the most part a linear form and is situated at the northern end of the site and sits upon a podium at its eastern end, and contains the larger volume research laboratory spaces (ISEA & CIM). The shared facilities including the lecture hall, sports hall & refectory and associated support spaces are located in a riverine block and are expressed as three repetitive whilst a transparent colonnaded perambulatory folinks the riverside through the building to the central courtyard within the new complex. 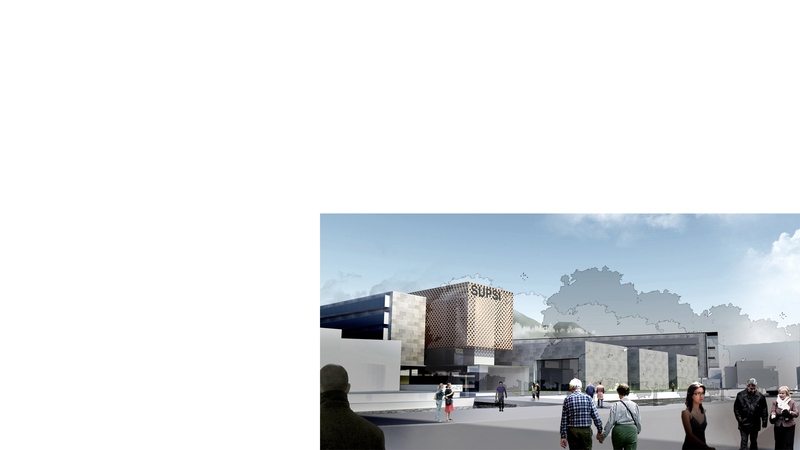 Materials will be stainless steel and bronze mesh over double glazed panellised and glass systems for the main façades of the USI and the SUPSI buildings whilst local stone is used for the cladding of the shared facility building. The architectural forms chosen respond to the established urban pattern of linearity which is characteristic of the urban morphology of this part of Lugano and the masterplan organises the buildings to form a completed legible complex. 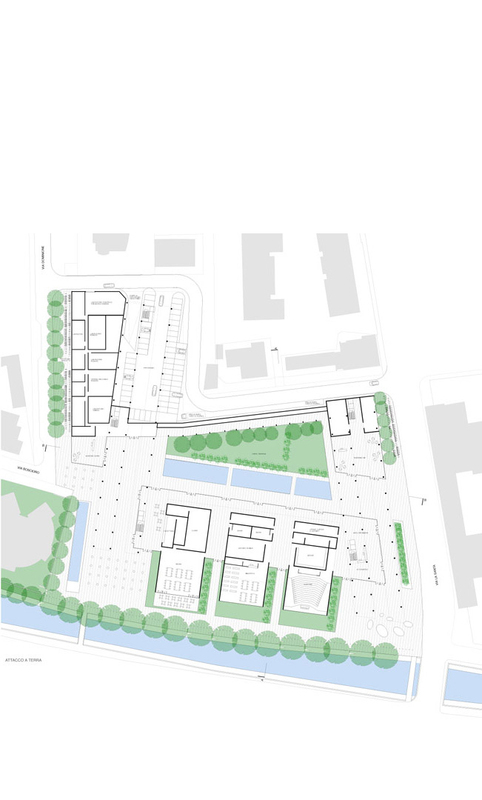 This strategy, whilst rigorous and clear is intended to be adaptable to take account of the development of the detailed requirements for each of the individual buildings , and to facilitate the extension of the USI building within the essential principles of the new masterplan.